The RMJ November 2017 is now available to read, download and/or print. 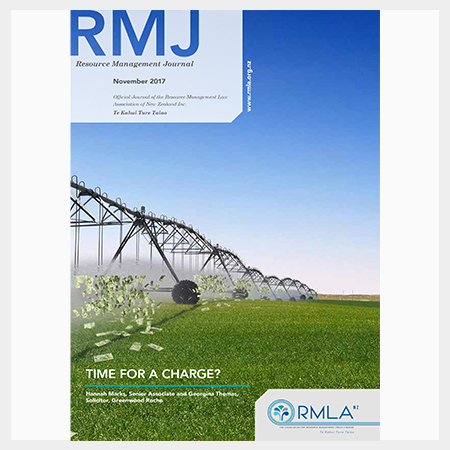 The RMLA’s RMJ November 2017 is now available to read, download and/or print. Page 15: Marine biodiversity and taonga species: slipping through the cracks – Sally Gepp, Environmental Lawyer, Royal Forest and Bird Protection Society of New Zealand Inc and Madeleine Wright, Environmental Lawyer, Environmental Defence Society Inc.